Acceleratio carries out the Secretariat for the rigid PVC case that falls under the international public-private North Sea Resources Roundabout covenant. On 3 March 2016 parties from four countries (France, The UK, The Netherlands and the Belgium region Flanders) signed the Green Deal for a North Sea Resources Roundabout (NSRR). The aim is to facilitate the free movement of secondary materials, not through new legislation, but in a bottom-up process of harmonisation. The European Commission is enthusiastic and the Netherlands has another sustainability showpiece. The use of waste material as a secondary resource is one of the first actions that businesses could consider to improve both their economic and environmental performance. Value chains are often cross border in nature and so require trans-border shipment of secondary resources. However businesses perceive barriers in trans-border shipment of waste and secondary resources and are reluctant to invest in starting or scaling up their activities in this field. Many (perceived) barriers are related to the uncertainty regarding the waste or resource status and the subsequent waste shipment requirements. Procedures to get clarity on waste or resource status are complex and time consuming or aimed at an EU-wide or national solution only. This can result in different interpretations between countries and so create confusion and a lack of legal certainty. Addressing these barriers and identifying shared solutions together has the potential to accelerate the transition towards sustainable growth. The International Green Deal NSRR aims to increase industry uptake of secondary resources by facilitating cross border use of secondary resources. Private Initiators and Governmental Participants will cooperate together to identify barriers and consider solutions for a limited number of specific secondary resource cases between countries. These barriers are amongst others related to the “waste or resource” status and hamper cross border secondary resources optimization. The Private Initiators intend to increase investments related to secondary resource use in the case of solid solutions. The intention is to share the lessons learnt in the cases with all NSRR Participants and Observers and even more widely with the objective of facilitating the movement of secondary resources within and eventually beyond the North Sea Region in Europe. One of the (at present 4) transborder flows under investigation is rigid PVC. Rigid PVC waste often contains cadmium and/or lead compounds as additives. In the past these were used to improve certain characteristics of the plastic. Because of their toxic properties cadmium and lead are no longer used in new PVC. However, due to the long service life of PVC products, articles produced before cadmium and lead were banned are still around, and rigid PVC waste generally contains the legacy components cadmium and/or lead. As they are immobile within the polymer matrix, the cadmium and lead do not present a risk to the environment or the human health. For PVC recyclate (sorted, ground material) to be qualified as a ‘product’ (‘end of waste’) the Waste Framework Directive (WFD) requires that the use of the material complies with applicable legislation. REACH allows the use of PVC recyclate containing cadmium and/or lead, under certain conditions. However, as yet no unequivocal interpretation of the WFD exists with respect to the question whether the PVC recyclate can be qualified as ‘end of waste’ before it has been incorporated into REACH compliant articles. If authorities were to conclude that PVC recyclate still has a ‘waste’ legal status, producers of PVC articles (converters) using the recyclate would formally become ‘waste handlers’, which could trigger requirements for additional safety measures and administration. Since the revision of Annex III of the Waste Framework Directive (WFD) in June 2015, debate arose whether PVC waste should be qualified as ‘hazardous waste’, contrary to the conventional qualification of waste from fully polymerised compounds – such as PVC – as non-hazardous. If PVC waste were qualified as ‘hazardous’, this might compel authorities to require that companies storing, transporting and processing the material take costly safety measures, in spite of the absence of environmental risk. Moreover, a qualification of PVC waste as ‘hazardous’ would replace the conventional ‘green list’ regime under the Waste Shipment Regulation (code GH013) by the ‘orange list’ regime (prior notification, financial guarantee). In summary, rigid PVC recycling is facing uncertainties with regard to the implementation of the waste legislation that could severely affect its commercial viability. The working group composition reflects the stakeholders around the flow of the material. The NSRR working group consist of the Belgium Waste Manager Van Gansewinkel who collects the PVC waste in Flanders, Dutch Recycler Van Werven who makes a PVC recyclate out of the PVC waste and UK based Wavin who is using the PVC for its production of pipes. 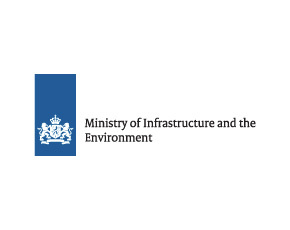 From the three countries both the policy makers and enforcement Agents are present (Public Waste Agency of Flanders (OVAM), the Dutch Ministry of Infrastructure and Environment, Dutch Human Environment and Transport Inspectorate (ILT) and Department for Environment, Food & Rural Affairs and the Environmental Agency from the UK). The working Group should function as a pressure cooker. The Chatham House rules apply within the working group. Acceleratio carries out the secretariat for the working group. The setting is constructive and targeted around the case at hand. The WAVIN site has been visited and a visit of the Van Werven plant is scheduled. An open exchange with Dutch NGO has taken place as part of the process. make the claim that in their case, cross-border rigid PVC recycling with the legacy components Pb and Cd destined for application as an inner layer in pipes is the preferred environmental option above landfilling and incineration. They make the point that it is advisable to continue (and extend) the actual practice of recycling PVC destined for pipes. The public representants will study the case at hand and evaluate actual risks compared to alternatives, policies and enforcement practices and also align among each other. The next step, now in progress, within the working group is that an aligned NSRR EoW status for rigid PVC recyclate will be explored (the countries share the similar EU “isitwaste” tool developed under the Life+ programme) between the countries in combination with a pragmatic and effective solution for REACH compliancy. Note: it is essential that there is an exchange of information between the NSRR case and the MS and EU case holders and EU stakeholders involved with an EU derogation/exemption processes for Pb and Cd in PVC as these processes still might be show stopper for PVC recycling with legacy components even if EoW consensus would be found. The NSRR is open for suggestions and analysis from the EU branches that help create a solution that carries the support of the public and private actors of the NSRR stakeholders.